Yesterday, we ran a fun tournament sponsored by kcbandit called Three Deck Titan. Kcbandit had wanted to sponsor a tournament for some time, and after conferring with the community eventually decided on a Unified Conquest format. I won’t go into full details of the rules, but basically each player built three completely different decks, and had to win a game with each one to win the match. At first everything went as expected – this was going to be a relatively low key fun tournament, with moderate attendance but high interest. Then kcbandit generously upped the prize pool from $100 to $300, and suddenly the card sharks started to come out of the woodwork. Unfortunately, due to the unique nature of the tournament (Unified Constructed) we closed registration at midnight the day before to allow TO rekenner time to verify that the decks were actually legal. This caught a double digit number of people off guard as they tried to register the morning of, and we had the most illegal decks registered since the EoWC. As an additional wrench, our producer had an emergency the morning of and we were forced to cancel the tournament stream, threatening to disappoint those who were interested in the format but didn’t or couldn’t play themselves. Fortunately, the community pulled through. Dozens of streamers were attending the tournament and started up their streams, giving viewers plenty of viewpoints to choose from. The new spectator mode on the client got put to good use as well, as viewers jumped in game to spectate the matches directly. Even memer ExKirby helped out down the back stretch, spectating and streaming the Top 8 matches. Even Unearthly broke out his stream for the first time. Of course, Challonge decided to go down in the middle of round 4, locking TO Rekenner out from the bracket entirely. Former TO aReNGee took over, probably so smoothly that no one noticed the change, and the tournament was able to continue. Unearthly was the top seed going into Top 8, with an undefeated record in the Swiss. At 5-1 were makemeslimagain, lv13david, Boligbent, zarbit, and MSM finalist LoveUP. Rounding out the Top 8 were two 4-2s, komodo and Razormaul, who qualified for Top 8 with three single faction decks and claimed the Mono Hero Award. One in Top 8, all bets were off. 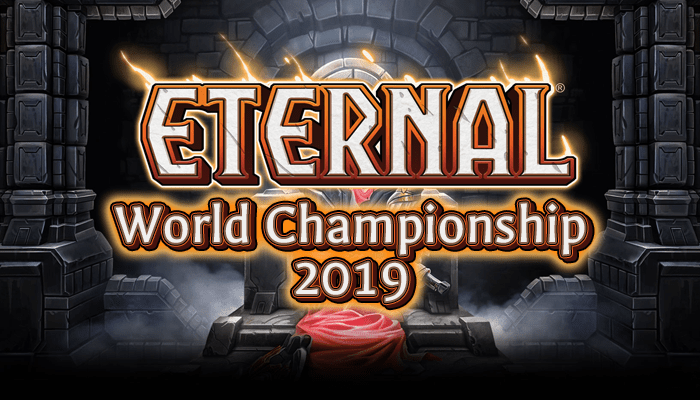 Fomerly undefeated Unearthly fell in the first round 3-1 to Komodo, and Mono Hero Razormaul was defeated in a close match 3-2 by makemeslimagain. LoveUP edged out Boligbent and lv13david defeated zarbit 3-2 to move on to the round of four. In the round of four, komodo fell to LoveUP, and after a full length match lv13david emerged victorious over makemeslimagain. Fresh off second place at MSM, LoveUP looked to close out his first tournament win, but it was not to be as lv13david quickly ended the tournament 3-0. However, LoveUP did collect the coveted Combrei Hater award for highest placing player without a Combrei deck. He played Feln Control, Rakano Warcry, and a spicy Elysian Wump/Midrange hybrid list he called Elysian Wump’o’Combo (no Shimmerpacks). The winner lv13david played the solid if unexciting combo of Big Combrei, Burn Queen and Feln Control. Full decklists for the even are available here. Combrei Hater Award: $10 cash prize. Awarded to the highest placing player who did not submit a deck containing both Time and Justice cards. Won by LoveUP. Mono Hero Award: $10 cash prize. Awarded to the highest placing player who submitted three monofaction decks. (Monofaction decks contain cards with only one factions influence) Won by Razormaul. Overall, it was a fun tournament that many players enjoyed, even if the circumstances for it weren’t ideal. We look forward to running more fun and sponsored tournaments in the future with special rules and formats to keep things new and exciting. Next week we make the long-awaited return to ETS Weeklies for the start of Season Four – I hope to see you all there! Previous Post: Building Better – 1, 2, 3, 4!